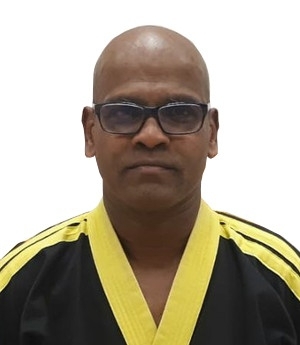 Mr Raj Kularajah joined the organisation in 2015. He is currently training with his children, Angela & Gabriel as a 1st Dan Black Belt. He is also a school owner. In June 2018 he received an Instructor of the Year award along with his children, at the International Martial Arts Hall of Fame, London, and in October he also received an Instructor of the Year award at the Martial Heroes Hall of Honours in Venice, Italy.